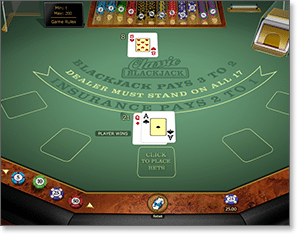 Blackjack is the most diverse of all casino games, with myriad rule variations from country to country and venue to venue. With so many different conditions of play in existence, it is vital we understand how certain rules impact both the house edge and our ideal strategy. Here we will show you which rules can improve your chances at the blackjack tables, and which ones will more likely leave you with empty pockets at the end of the night. We will also highlight a few which seem beneficial at first glance but in truth have a negligible (or even negative) effect on our expected returns. There are some rules of play for which all serious blackjack players are constantly on the lookout, as they can put a huge dint in the house edge and thus improve our chances of making a profit. Many of the best ones are seldom seen these days, such as five card Charlie, early surrender, and the rare 2 to 1 payout for natural blackjack, so we will focus more on those which can still be found at online casinos and some brick-and-mortar gambling venues. Be wary, though, especially in land-based casinos – for wherever there are good rules, there will surely be bad ones snuck in to restore the dealer’s advantage. Single deck – The number of decks in play has an enormous effect on the house edge, and there is no better scenario for us than a table using only 52 cards. Compared to games using a full shoe of eight decks (416 cards), single-deck blackjack raises our theoretical return rate by some 0.48 per cent – a huge figure in the world of 21. As such, the one-deck game is a prime suspect for dealer-friendly rules. Hit split Aces – In many blackjack games, we are not allowed to hit or double down after we separate a pair of Aces – so even if we were to end up with split hands of A 2 and A 3, there would be nothing we could do. Other versions, however – mostly American 21 – allow us to draw to any split hand, which knocks down the house edge by a healthy 0.19 per cent. Double after splits (DAS) – This is one of the more malleable rules in real cash blackjack – sometimes you see it and sometimes you don’t, although it is most commonly found in the United States. When the DAS rule is in play, we get a 0.14 per cent bump against the house. Double down rescue – Spanish 21 and some versions of Australian pontoon give us the option to surrender after doubling – i.e. we forfeit a sum equal to our original bet and thus finish the hand. This quirky rule diminishes the casino’s advantage by around 0.10 per cent. Split up to four hands – This is quite common at the US blackjack tables in Atlantic City and Las Vegas, but in many Aussie and Euro 21 games we cannot resplit at all. When we can split up to three times, for a total of four hands, our statistical advantage increases by 0.10 per cent. Double down on any two cards – In Australian 21, we can usually only double down on hard hands of 9, 10, or 11. But most American blackjack games allow us to double on any two cards, which raises our expected win rate by 0.09 per cent. In more exotic styles like Spanish blackjack, we can double down on any number of cards – a rule which slashes the casino edge by a further 0.23 per cent. Casinos are businesses, and as such their ultimate goal is to turn a profit. As competition within the industry has increased in recent decades, so too has the house edge on your average blackjack table. Don’t get us wrong here – blackjack games have always favoured the dealer to some degree, and there have always been bad rules out there. But nowadays we are seeing more and more questionable playing conditions cropping up, and land-based casinos are among the biggest offenders. If you come across a blackjack table with any of these rules, you’d do well to steer clear – or at least make certain there are also some very player-happy rules to balance things out. House wins all 17+ ties – The worst rule, period. Sometimes it is only applied to totals of 17 and 18, while in its most nightmarish form it covers all ties from 17 to 21 – which favours the dealer by a ridiculous 8.86 per cent. You’d have better luck getting your money back if you threw it down a volcano. Dealer pushes with 22 – This ludicrous excuse for a blackjack rule tears at the very fabric of the game. The whole point of BJ is that both player and dealer must attempt to score higher than the other without exceeding 21 points. 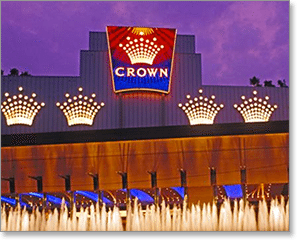 Now, tables are appearing where the house can halve the hand with 22 – such is the monstrosity that is Blackjack Plus at Melbourne’s Crown Casino. All on its own, this disgusting rule swings the odds to the dealer by an astonishing 6.91 per cent. Short pays on natural blackjack – In recent times, more and more gaming venues have begun to deviate from the traditional 3 to 2 odds on natural 21. Sadly, Australia is again at the forefront of this trend, with many casinos sneaking the standard 6 to 5 pontoon payout onto its blackjack tables – a change which hikes up the house edge by 1.39 per cent. Even worse, there are games which offer no bonus on naturals whatsoever, leaving us with 1 to 1 odds and a 2.27 per cent disadvantage. No splits or doubles allowed – Splitting pairs and doubling down are two of the most entertaining and strategically interesting aspects of blackjack. When either of those options are eliminated, so too is much of the game’s appeal – as well as a hefty chunk of our potential winnings. When we can neither split (0.57 per cent) nor double down (1.48 per cent), we give back to the house around $1.91 of every $100 we bet. Dealer hits soft 17 – Standard blackjack procedure says the dealer should stand on all hands of 17 points, regardless of whether there is a soft Ace in the mix. But in some games the dealer is instructed to hit on a soft 17, which improves the croupier’s chances of success by 0.22 per cent. Yet again, Australian gambling establishments are a major culprit in the popularisation of this rule. Original Bets Only (OBO) means we only lose our initial wager against dealer blackjack. This is effectively the same as US hole card games, so there is no additional house edge. Busted Bets Plus One (BB+1) sees us lose all busted wagers against dealer natural, as well as one extra unit to cover all splits and doubles on the table. This is only marginally worse than OBO, limiting the ENHC’s effect by 0.10 per cent. Original and Busted Bets Only (OBBO) takes only our busted bets, as well one unit from each un-busted hand. Compared to the dealer peeking for blackjack, this rule adds 0.03 per cent to the overall house edge. In land based casinos, most 21 tables use either OBBO or BB+1. Split unlike 10-value cards – This one is quite popular these days, especially at real money casinos online. While normally we can only split two cards of the exact same rank, here we can separate any two cards with a value of 10 – for example, a Queen and a King. The thing is, anyone who has even a rudimentary grasp of basic strategy knows we should never split a hand of 20, so there is really no situation where we would take advantage of this rule. Late surrender against dealer Ace – Surrender isn’t a bad rule at all – in fact, it can be very useful with rotten hands like a hard 16. But many folks take this chop out way too often, when there are really only a three or four scenarios where we should use this option in most games. Against an Ace, some players always assume the dealer has blackjack and thus surrender every time – an awful strategy. Dealer must stop with six cards – Most of the time, the dealer is allowed to draw as many cards as necessary to reach 17 points or more. However, some blackjack casinos in the past – those with single-deck games, in particular – have instructed the croupier to take no more than six cards, regardless of the end total. This has a negligible effect on the house edge, as the house would have to draw mostly Deuces and Threes to fall short of 17 with six cards. To get a feel for all the rules and regulations discussed in this article, we at TopOnlineCasinoSites.com highly recommend jumping on one of our trusted Internet casinos recommended in the casino table at the top of this page. These secure online blackjack sites boast dozens of traditional and quirky variations, including titles from the prestigious Microgaming Gold Series – simply the best selection of online 21 games we’ve seen with the best player-friendly rules. Check out the links below to sign up for free or real money play, with huge cash bonuses on offer when you make your first real money deposit. We recommend Raging Bull Casino as our top-rated casino site for players from United States, which has some excellent welcome bonuses available for new players along with a great range of blackjack variants and other casino games. Casino software giant Microgaming has opened a designer five-story environmentally friendly office space that puts employee well-being at the forefront.